Burt Rutan: Notable: Alan Levenson - Los Angeles Portrait and Stock Photographer. First plane to fly around the world non-stop. First privately funded flight into space. 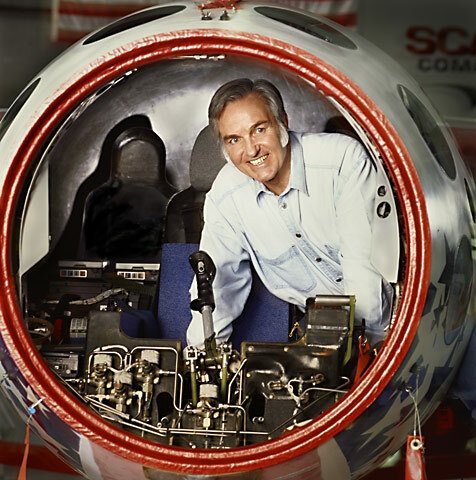 His SpaceShipOne will hang next to Kitty Hawk in the Smithsonian. He wasn't sure about being photographed in the cockpit of SpaceShipOne. "I'm not the pilot", he said.